Agricultural machinery places strict demands on adjustment mechanisms. Electromechanical solutions are often preferred over hydraulic and pneumatic systems due to their robustness, efficiency, reliability and cost-effectiveness. Linear actuators, electrical actuators, electric cylinders, spindle drives – the names are as diverse as the possible fields of application. However, the operating principle is always the same: an electric motor drives a threaded spindle via gearheads, upon which a trapezoidal or ball screw-shaped nut is shuttled and subsequently sets a piston rod in motion. 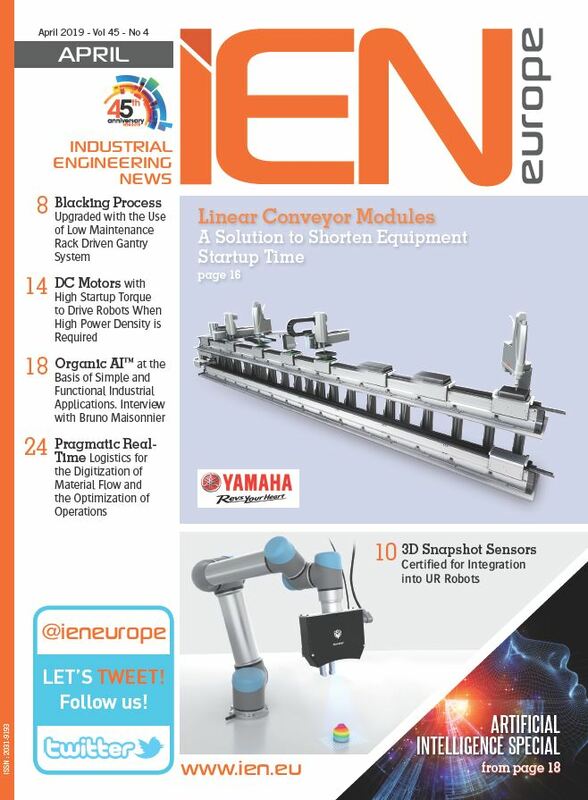 This principle has been tried and tested over the decades in thousands of machines, systems and devices, which are used in virtually all industrial environments. 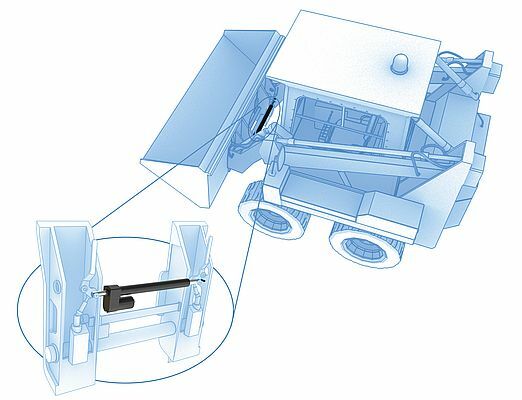 Even manufacturers of stationary and mobile agricultural machinery have been taking advantage of this uncomplicated, ergonomically robust technology for a long period of time and have made electromechanical linear actuators their preferential choice when harsh operating conditions are concerned or in the case of developing highly efficient, reliable and clean solutions. Two of the key advantages of this technology have therefore already been highlighted: efficiency and robustness. However, linear actuators also feature high levels of efficiency, cost-effectiveness, reliability and cleanliness. The extremely high level of efficiency of linear actuators is due to the lack of a buffer medium through which the supplied energy can dissipate. In hydraulic systems this is the hydraulic fluid, and in pneumatic systems the compressed air. This buffer medium inevitably causes the efficiency of systems of this kind to be lowered. On the other hand, direct drives, such as those implemented in linear actuators, generate the same or an even higher workrate from a lower driving power. This has the following benefit for the user: increased power with less fuel, and thereby a significantly more cost-effective machine. Another advantage directly associated with the simplicity of the technology is the effectiveness of these solutions. While hydraulic systems consist of numerous expensive, high-maintenance components that are prone to faults, such as pumps, hoses, connection couplings, valve blocks, alignment systems etc., all that linear actuators need is a simple switch or controller to execute the required movement. Furthermore, this control can be positioned anywhere on the vehicle or even operated by remote control, without considerable effort. This level of effectiveness provides several advantages for the end user. On the one hand, fewer parts mean that there are fewer sources of malfunction, and on the other hand lower maintenance costs are involved. Linear actuators are permanently lubricated throughout their entire service life and are completely maintenance-free, as well as fewer replacement parts to be stocked just to mention a few. The robustness of the technology is not just a result of the low quantity of components required, but is also due to a linear actuator's design. All of the parts are located in a protected housing and are thus effectively protected against adverse conditions such as water, dust and dirt. This explains the long service life of agricultural machinery systems of this kind. Furthermore, this design provides the possibility of integrating additional options in the cylinder. This can be, for example, analog or digital position feedback in the form of a potentiometer or encoder. The limit switch can be used in the same way to signal whether the piston has reached an approached position or temperature sensors are installed to prevent overheating of the motor. By placing electronic components in the gearhead housing (rotary potentiometers) or in cylinder piping (linear potentiometers, limit switches), the risk of failures or incorrect values as a result of external influences is highly unlikely. In the case of both hydraulic and pneumatic systems, feedback of this kind must be implemented externally, i.e. the electronics are exposed to the harsh operating conditions on the field in a more or less unprotected way. This understandably increases maintenance costs as well as the susceptibility to faults of these systems. Another point to consider is the cleanliness and thus the high level of environmental acceptability of linear actuators in comparison with hydraulic systems. In the case of hydraulic systems, there is always the risk of leaking connections and thereby leaking hydraulic oil – in extreme cases leaking directly onto the harvest. This is exactly the reason why hydraulic systems are not permitted in food processing, and this applies to both the harvesting and processing procedures in the agricultural field. In each case, leaking hydraulic oil, even if biodegradable, has an impact on the environment. The same generally applies to air containing lubricating oil which is discharged from pneumatic systems. In contrast, linear actuators are in the truest sense of the word a "clean solution", as the permanently capsulated cylinder not only does not allow any dirt to ingress, but at the same time does not discharge any lubricating oil. Last but not least is the cost factor. This starts in the purchasing phase and continues right through to installation and maintenance costs. It makes good economic sense, particularly at machines with no existing hydraulics, to install a complete hydraulic system including pumps, hoses, valves etc. for moving certain equipment. Here, an electric motor and actuators would cost considerably less. 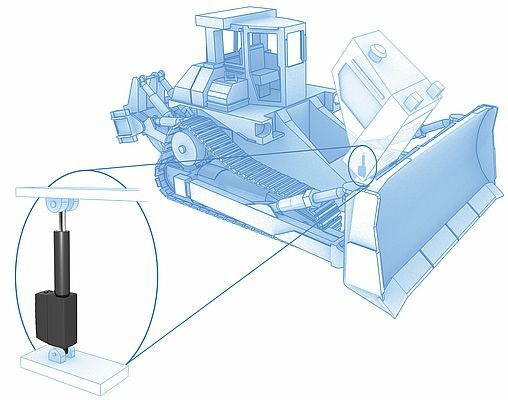 But even in the case of existing hydraulic systems, the minimum installation costs due to the simplicity of the system generally steer towards an electromechanical solution. The same applies to the frequently underestimated operating costs incurred by the end user. Frequent and to a certain extent difficult maintenance work, long standstills, laborious disposal of the hydraulic oil, this all has a negative impact and drives up costs to an unnecessarily high level. Linear actuators are used in a variety of sizes and designs throughout the entire range of agricultural and forestry machinery. This ranges from conventional combine harvesters to self-propelled straw cutters and baling presses right through to pest management sprays, seeders, forestry cable winches, lawn movers etc. An application which is exposed to the harshest of loads and at the same time is extremely complex, is the so-called slot adjustment at the threshing box of a combine harvester. The opening of this threshing slot on the underside of the machine must be adjusted depending on the corn to be harvested and other conditions such as the humidity. During the harvesting procedure, all of the threshed materials pass through this slot including soil, stones right through to large branches. This results in the entire associated mechanics including the adjustment equipment being exposed to significantly high levels of forces through impacts and vibrations. In addition to this, there are additional impacts caused by dust, dirt, mud, heat and water, depending on external conditions. On the other hand, actuators maintain the position of the slot opening, i.e. the self-locking may not be affected by impacting vibrations. Similarly, the electronics for position feedback must be failure-proof. Further combine harvester functions which are executed by means of linear actuators include corn tank flap adjustment, through which the corn tank opening is adjusted, couplings for activating and deactivating functions such as corn ejection, variator adjustment of the corn ejection, depending on the wind strength and -direction, as well as adjustment of sieves positioned on top of each other to match the average size of the corn by means of several mini actuators per sieve. Equally impact-intensive and demanding are the applications at a self-propelling straw cutter. Here, linear actuators are used for automatic blade grinding equipment. In this case, grinding plates are rotated to sharpen the blade on the drum. This can be activated by the driver from his cab as soon as he detects that the blades are blunt. He is also able to adjust the opposing knife with help from two additional actuators so that the cutting clearance can be adjusted depending on the harvest and its condition. An actuator can also be used to adjust the flap at the ejection chute.